If you’re looking for a three-day weekend and those vacation vibes but can’t find the time to travel to a vacation destination, you can always take a staycation right in Chicago by scoring a room at a hotel downtown. Whether you’re from the suburbs or just want to get away from your normal habitat in the city, spending a few nights in a hotel can feel super luxurious and refreshing, and it’s a chance to explore new areas and sights you may not have experienced before. If you’re planning a mini-vacay in Chicago (with minimal baggage and expenses, which is the best part! ), here’s a handy guide for planning your trip like a pro. Simplify your list by jotting down all your favorite destinations you’ve been trying to go to in the city. From restaurants and local events to shops and attractions, there are so many things to keep in mind and pencil into your travel plans in advance. As you move through the list, check things off, feel super accomplished, and then write something else down! There are so many fantastic things to do in Chicago that it’s impossible to run out of options. Ever wanted to take an architecture tour or boat cruise? Well buy tickets and mark it on your calendar for your visit. 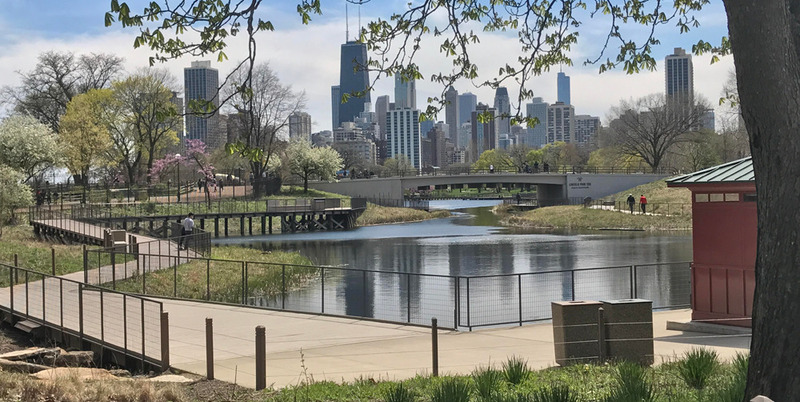 There are so many classic attractions, such as The Art Institute of Chicago, The Museum of Science and Industry, and the Lincoln Park Zoo, as well as new ones, like the wnder museum, which is a cool interactive pop-up museum with exhibits that make for awesome selfies and Instagram shots. If you have your heart set on dining at a renowned restaurant in the city, like Au Cheval, Spiaggia, Gibson’s, or RPM Steak, among others, book reservations in advance to secure your spot. If you’re taking a staycation, especially on a weekend, these hotspots will book up! If you aren’t sure where to go, you can always ask the concierge at the hotel you’re staying at earlier in the week to lock down some options and let the anticipation build. Consider leaving work early and taking a Friday or Monday off to extend your weekend of fun, which will allow enough time to leave feeling refreshed and ready to get back into the daily grind. Two days is not enough at times, and that extra day can make a huge difference. Not only will you have more time to explore the city, but also it’ll feel more like a real vacation, as if you had hopped on a plane and gone somewhere new.